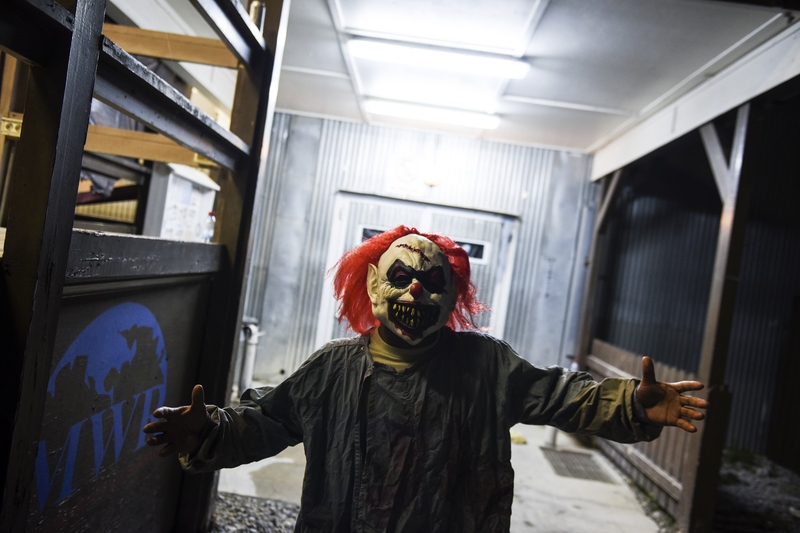 Police in Central Virginia received at least six calls about creepy clown sightings Tuesday night and Wednesday; some were near schools and bus stops, Richmond's NBC affiliate WWBT reported. Clowns were reported to be luring kids into the woods in South Carolina in August, and since then others have also been sighted in Florida, Virginia, and Colorado, according to Fox News. The descriptions haven't been consistent either; some were reported to be wearing wigs, and others masks. This epidemic of clowns popping up has baffled police, who have said they are unsure if the clowns are a prank or something worse. Parents are understandably concerned for their children's safety. Third-graders in Marion County, Florida, saw a person in a clown mask beckoning them over during school hours, Orlando's WFTV reported. "It looked like a zombie-type of clown and he motioned at them with a finger to come at him," an anonymous father told ABC. "By the time the police got there, the guy was gone." Yikes. While standing around in a clown costume is legal in Florida, it's a felony to wear a mask to hide your face and identity in Virginia if you're over the age of 16. You can hide your face on private property if you have permission in writing from the owner or tenant, but in public it's a no-go. And don't take this lightly; if convicted, you could go to prison for five years or pay a $2,500 fine. But at least one of the clowns seen in Central Virginia didn't have bad intentions: according to his mother, he's a preteen boy with autism who loves Stephen King, reported Richmond CBS affiliate WTVR. Angus, 12, was wearing his Pennywise clown costume while his grandmother was driving him home in Henrico County to surprise his mother. A woman and her daughter, presumably scared by the incident, took a photo of Angus wearing his mask and waving through a car window and shared it on social media. When the photo made local news, Angus' mother reached out to share that her son had "no malicious intent," CBS reported. "This clown was simply a little boy in a new toy," she said. At this point, the police aren't sure what is causing the large volume of calls about clowns. Maybe it's the spirit of Halloween in the air, and maybe it's something more sinister. Either way, it's probably a good idea to make sure you and any kids you may know aren't following any clowns into dark places. If you see a creepy clown lurking in a public place, you should probably call the cops.